LandMark: The Global Platform of Indigenous and Community Lands displays georeferenced information on collectively-held and used lands worldwide. It consolidates the numerous ongoing local, national, and regional efforts to map and document indigenous and community lands within a single global platform. The platform distinguishes indigenous lands from other community lands in part because various international human rights instruments specifically grant Indigenous Peoples a range of rights, including rights to their land and natural resource (see Definitions). LandMark aims to display the best-quality data available from reputable organizations and recognized experts, but does not endorse or verify the accuracy of any dataset (see Data Quality). The platform includes maps and data on indigenous and community lands that are publicly available as well as information directly from individuals and organizations with their permission as detailed in a data-sharing agreement. The contributing individuals and organizations, which are documented in the Data Providers tab, are fully responsible for the accuracy of the data. Users are encouraged to report any errors, omissions, or inconsistencies to the LandMark Operational Team (info@landmarkmap.org) and the appropriate data provider. Amendments will be made on a periodic basis. The data on LandMark is offered at multiple scales: National level and Community level. The National level data is comprised of two datasets that are based on research (e.g., legal reviews, literature reviews, interviews). For each country, the National level data layers show: 1) the percent of land in that country held or used by Indigenous Peoples and communities; and 2) the tenure security of indigenous and community land based on the evaluation of ten indicators. At the Community level, LandMark provides a common platform for hosting data on the locations of indigenous and community lands as provided by individuals and organizations around the world with expertise in land rights, including often in mapping and documenting rights. Communities are groupings of individuals and families that share common interests in a definable local land area within which they normally reside. Communities vary in size, identity, internal equity, and land use systems, and may distribute rights to land in different ways. However, communities are similar in these ways: 1) They have strong connections to particular areas or territories and consider these domains to be customarily under their ownership and/or control. 2) They themselves determine and apply the rules and mechanisms through which rights to land are distributed and governed. The rules themselves alter over time, as do the mechanisms through which these are upheld (e.g. from autocratic chiefs to committees). Many rules are customary, based on tried and tested customs followed by forebears. Others are new, developed by the community to address new challenges (e.g., land shortage) or to be consistent with constitutional rights of members who are also citizens of modern states (e.g. as relating to women’s land rights). 3) Collective tenure and decision-making characterize the system. Usually, all or part of the community land is owned in common by members of the community and to which rights are distributed. Sometimes, community lands are traditionally entirely subdivided into family lands but over which the community exercises authority, establishing the means by which family rights are recognized, held, used, and transferred. 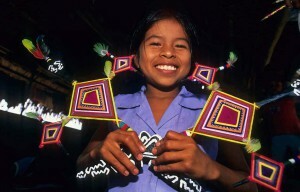 Indigenous Peoples are the sector of the world’s communities who identify themselves as Indigenous Peoples. They adopt this definition on various grounds, such as having stronger relations to their land than other nationals, longer origins in the locality, or distinctive cultures and ways of life that run special risks of being denied or lost in modern conditions. Many communities consider themselves indigenous to the locality but do not define themselves as Indigenous Peoples. This is especially so in Africa and Asia. Moreover, there are many commonalities in land tenure and governance between Indigenous Peoples and other communities. The distinction between Indigenous Peoples and other communities is made on LandMark mainly because their rights may be subject to special national legislation and which must be reviewed distinctly from laws affecting the rights of other communities. In addition, Indigenous Peoples are the subject of specific internationally-recognized collective rights, including rights to land and natural resources (e.g., International Labour Organization Convention 169, United Nations Declaration on the Rights of Indigenous Peoples). Community Lands are all lands that fall under the customary governance of the community whether or not this is recognized in national law. Community land is variously described as the community domain, community land area, community territory, or other terms (e.g., Tanzania refers to village lands, Ghana to customary lands, China to collectives, Cambodia refers to indigenous lands, etc.). Indigenous Lands or territories refer to the collectively-held and governed lands (and natural resources) of Indigenous Peoples. As with other community lands, some indigenous lands may be allocated with group consent for use by individuals and families. Other indigenous land is managed as common property. In some cases, indigenous land is held by individuals or families (e.g., New Zealand). Traditional indigenous territories are estimated to encompass up to 22 percent of the world’s land surface. Commons are areas maintained as the communal property of all community members. Some communities and Indigenous Peoples hold and use all of their land communally. This is usual among hunter-gatherers and mobile nomads who practice transhumance (i.e., moving livestock from one grazing location to another in a seasonal cycle). Many communities, however, do not use all of their land communally. While the community exercises jurisdiction over the entire land area, it may be the case that each family possesses its own distinct part of the domain. Or the community may draw a distinction between lands that it has allocated to families for residence and permanent farming, and other lands which it purposely retains the shared property of all members, which is referred to as commons, commonage, or common property. Lands for grazing and wildlife, forests and woodlands, mountaintops, sacred localities, and lakes and streams within the community land are usually retained purposely as collective property commons to which all members have use rights. Land Rights are the rights of individuals or groups of peoples, including Indigenous Peoples and communities, over their land. The bundle of rights can include the rights of access, withdrawal, management, exclusion and alienation. The bundle can also include rights to various natural resources on and below the surface of the land (e.g., trees, wildlife, water, minerals). The source of these rights can be statutory law or customary law. Customary Land Rights are usually synonymous with indigenous and community land rights and are appropriately used interchangeably depending upon the context. This is because indigenous-based and community-based systems of landholding are usually traditional or customary. Land Tenure is the legal or customarily-defined relationship among people—as individuals or groups people—with respect to land. It includes the full range of social relationships between people and communities with regard to accessing, possessing, controlling and transferring land and natural resources. Land tenure systems determine who can use what resources for how long and under what circumstances. Customary Tenure means community based systems of land ownership and administration that have longstanding origins in the norms and practices of communities and may go back centuries. Customary law refers to the rules that a community observes. Although the term “customary” is not uniformly in use, it is important to note as many countries make reference in their constitutions to customary tenure and customary law. Wily (2011) estimates that customary tenure extends over at least 8.54 billion hectares - an estimated 65 percent of the global land area - involving 1.5 billion people. Land Tenure Security is the certainty that an individual’s or community’s rights to land will be recognized by others and protected in cases of specific challenges. The attributes and sources of tenure security may vary from context to context. To a large extent, land tenure security is what people and communities perceive it to be. Nakashima, D.J., Galloway McLean, K., Thulstrup, H.D., Ramos Castillo, A. and Rubis, J.T., 2012. 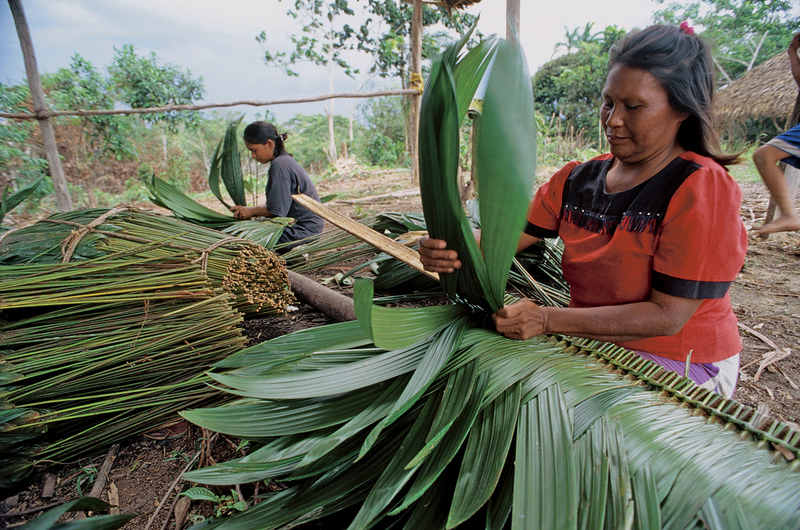 Weathering Uncertainty: Traditional Knowledge for Climate Change Assessment and Adaptation. Paris, UNESCO, and Darwin, UNU, 120 pp. Sobrevila, C., 2008. The Role of Indigenous Peoples in Biodiversity Conservation: The Natural but Often Forgotten Partners. World Bank: Washington, DC. Food and Agriculture Organization (FAO). 2002. Land Tenure and Rural Development. FAO Land Tenure Studies No. 3. Rome: FAO. Alden Wily, L., 2011. The Tragedy of Public Lands: The Fate of the Commons under Global Commercial Pressure. International Land Coalition: Rome. The data and information displayed on LandMark are assembled from many different sources and contributors. To ensure high-quality and accurate information, the Operational Team and Steering Group have instituted several quality-control measures. Data Sources. Only data from individual experts and established organizations that are well-recognized and respected in the land rights community – and are vetted by LandMark’s Operational Team - are displayed on the platform. To ensure transparency, the name of each source or contributing individual or organization is available in the attribute table, accessible by clicking on the specific geographic feature in the interactive map, and in the Data Providers tab. These parties are fully responsible for the accuracy and quality of the data they provide. Any errors are the responsibility of the data providers, although LandMark can serve as an intermediary in informing providers of inaccuracies. Users may contact the data provider directly or contact the LandMark Operational Team to convey comments or questions about the data displayed. Data. LandMark’s Operational Team reviews all data for quality and consistency before the information is posted on the platform. LandMark does not display boundaries of indigenous and community lands that have been digitized from static (e.g., paper) maps because of the difficulty in ensuring geographic accuracy. In most cases, the Operational Team also engages country experts to review boundary data before it is posted. Data acquired from the literature must be published by reputable organizations and/or appear in peer-reviewed journals that have their own quality-control processes. Data from LandMark-initiated research is also subject to a quality-control process that involves internal and external reviews. Methods All data displayed on LandMark are associated with detailed documentation and/or data collection/analysis methods to allow for traceability and verification of the information. Documentation for all layers includes the source of the data and the data provider. The attributes for community level data also includes, when available, the methods of collection (e.g., hand-held GPS, transcribed from land title) and the scale at which data were mapped, to help convey the accuracy and quality of the spatial information (see Community Level Data and Methods and Data Quality Standards). The methods and criteria behind the National level data layers are described in detailed documentation available in National Level Data and Methods. Updates. Community level data are updated as new information is received from data providers, or approximately once per month. New National level data are uploaded to LandMark approximately once every four to six months, while existing data are updated approximately once per year. The date that boundaries or attribute information were last updated by the data provider, as well as the date the data were uploaded to LandMark, are available in the attribute tables for all data layers. A considerable amount of the world’s land is occupied and used by Indigenous Peoples and communities, although we do not know the precise amount. Liz Alden Wily estimates that customary, community-based tenure systems extend over at least 8.54 billion hectares - an estimated 65 percent of the global land area - involving perhaps 1.5 billion people. 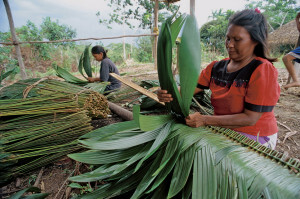 Traditional indigenous territories alone are estimated to encompass up to 22 percent of the world’s land surface. Global coverage of Community level and National level data layers is the long-term goal but it is far from being achieved. Geospatial data for many indigenous and community lands does not exist or has not been located by LandMark‘s Operational Team. The National level ‘Percent of Indigenous and Community Lands’ layer seeks to address the issue of missing Community level data by showing how much of a country is held or used by Indigenous Peoples and communities, as determined through research and literature review. Even though a country may not have National or Community level data displayed on the platform, Indigenous Peoples and communities may still hold or use land in that country. The absence of data does not indicate the absence of indigenous or community land. LandMark is continuously seeking new data to fill in the gaps in data coverage. If you or your organization can help, please contact us. Alden Wily, L., 2011. The Tragedy of Public Lands: The Fate of the Commons under Global Commercial Pressure. Rome: International Land Coalition. Nakashima, D.J., Galloway McLean, K., Thulstrup, H.D., Ramos Castillo, A. and Rubis, J.T. 2012. Weathering Uncertainty: Traditional Knowledge for Climate Change Assessment and Adaptation. Paris, Paris: UNESCO and Darwin: UNU. Sobrevila, C., 2008. 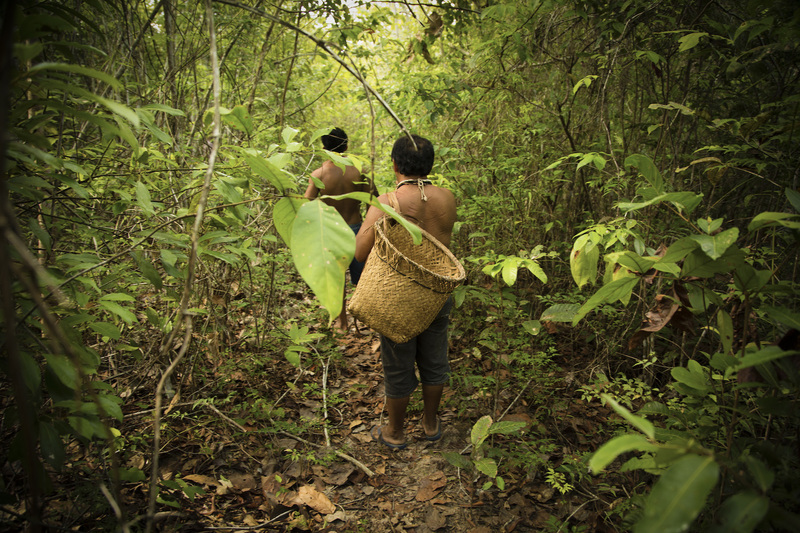 The Role of Indigenous Peoples in Biodiversity Conservation: The Natural but Often Forgotten Partners. Washington, DC : World Bank. Rights and Resources Initiative. 2015. Who Owns the World’s Land? A Global Baseline of Formally Recognized Indigenous and Community Land Rights. Washington, DC: RRI. Lemmen, Christiaan. 2010. The Social Tenure Domain Model A Pro-Poor Land Tool. Copenhagen: International Federation of Surveyors. The National level data is comprised of two data sets that are based on research and literature reviews. For each country, it shows: 1) the percent of land in that country held or used by Indigenous Peoples and communities; and 2) the tenure security of indigenous and community lands based on evaluation of several legal indicators. The geographic boundaries for presenting the national level data on LandMark are sourced from the GADM Database of Global Administrative Areas. These maps show the estimated area of land held or used by Indigenous Peoples and non-indigenous communities per country as a percentage of the country’s total land area. The data are divided into three categories for visualization on the global map: acknowledged by government (i.e., lands recognized by the State), not acknowledged by government (i.e., lands held or used but not recognized by the State), and total (i.e., sum of lands held or used, independent of recognition status). The percentages are calculated by dividing the total land area of the country (calculated in GIS using the GADM Database of Global Administrative Areas) by the estimated area of the land held or used by Indigenous Peoples and communities. The various layers - estimates for total percent of land held or used by Indigenous Peoples and communities as well as the percent that is acknowledged by govt or not acknowledged by govt - can be display on the map through the layer selection panel. The estimates are displayed on the map according to categories representing a range of percentages. The percentage value and sources of the estimate can be viewed in the attribute table by clicking on a country in the interactive map. A further breakdown of the data into estimates of lands held or used by Indigenous Peoples only and communities only are under development. For some countries and categories, “No data” is displayed in lieu of a percentage. No data represents one of two scenarios: 1) there was not enough information found through research to make an estimate; or 2) the country or category has not yet been evaluated. The Notes field in the attribute table for each country and category provides additional information on the specific circumstance. The Notes will recognize if only partial information is available. The total amount of land held or used by Indigenous Peoples and communities in the country as a percentage of the country’s total land area. The information is further subdivided into the percent of indigenous and community land that is formally recognized and the percent that is not formally recognized. All estimates include sources and dates. Notes Additional information regarding the estimates. Date uploaded The date that the data were posted on LandMark. More info A web link to more detailed information. This data is characterized by a series of ten indicator questions that point to the security of land tenure for Indigenous Peoples or communities as established in national laws. Based upon the experience of the LandMark Operational Team and with inputs from the Steering Group, the ten indicator questions listed in the table below were identified as the most important to consider based on their indication of the strength of laws in recognizing indigenous and community land and natural resource rights. In many countries, especially in Africa, one set of national laws applies to all collective tenure types. In some countries, however, indigenous lands, non-indigenous community lands and perhaps other collective tenure types are regulated by separate national laws. In such cases, the indicators are assessed separately for each collective tenure type that is governed by a different legal framework. This is important, because national laws may better recognize and protect one type of collective tenure than another type. The references to each law and ethnic group are included in the attribute table that is available by clicking on a country in the interactive map. 1. LEGAL STATUS Does the law recognize all rights that Indigenous Peoples or communities exercise over their lands as lawful forms of ownership? 2. LAND RIGHTS AND COMMON PROPERTY Does the law give indigenous or community land rights the same level of protection as the rights under other tenure systems? 3. FORMAL DOCUMENTATION Does the law require the government to provide Indigenous Peoples or communities with a formal title and map to their land? 4. LEGAL PERSON Does the law recognize the Indigenous Peoples or community as a legal person for the purposes of land ownership? 5. LEGAL AUTHORITY Does the law recognize the Indigenous Peoples or community as the legal authority over the land? 6. PERPETUITY Do the law and formal title recognize that indigenous or community land rights may be held in perpetuity? 7. RIGHT TO CONSENT BEFORE LAND ACQUISITION Does the law require the consent of Indigenous Peoples or communities before government or an outsider may acquire their land? 8. RIGHTS TO TREES Does the law explicitly recognize that indigenous or community land rights include the rights to all trees on the land? 9. RIGHTS TO WATER Does the law explicitly recognize that indigenous or community land rights include the rights to local water sources on the land? 10. LAND RIGHTS IN PROTECTED AREAS Does the law uphold indigenous or community land rights in the ownership and governance of national parks and other protected areas? The assessment of each indicator is based on a review of relevant national laws, including the constitution, statutes, regulations, and high court cases, to the extent they are available. In countries with a federal system, such as India and Australia, the review is limited to national or federal laws, not state laws. Any international conventions signed or ratified by a country are included in the assessment only to the extent that they are incorporated into domestic law and enacted as local statute. There is no attempt to assess the implementation or enforcement of the law, or government, community or Indigenous Peoples’ perceptions of the security of their land rights. Each indicator is assigned a score of 1, 2, 3, 4, Not applicable (N/A), or No data (ND). The scoring of indicators is based exclusively on express legal provisions. 1 Yes, the law addresses the issue fully. The legal framework clearly or expressly meets the issue addressed in the indicator. 2 Partial, the law makes significant progress towards addressing the issue. The legal framework makes significant progress towards, but does not entirely meet the issue addressed in the indicator. 3 Partial, the law makes only limited progress towards addressing the issue. The legal framework addresses the indicator, but insignificantly. 4 No, the law does not address the issue. There are no attempts in the law to meet the issue addressed in the indicator. Not applicable The indicator is not applicable. Not applicable is used in cases where the subject matter in question is non-existent. No data Not enough data to score or not evaluated. No data applies when the country and/or indicator has not been evaluated or there is a lack of sufficient information. 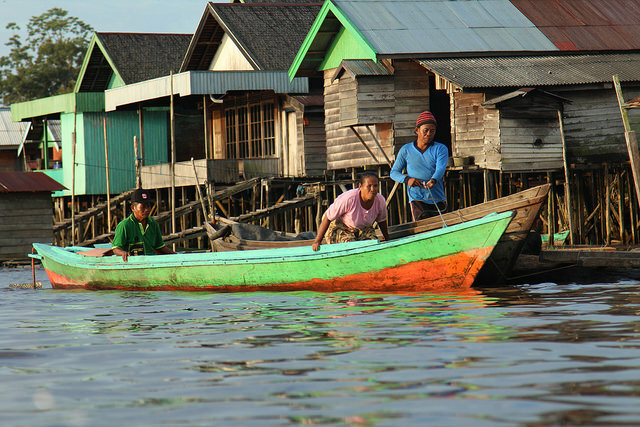 The average score for the ten indicators of the legal security of indigenous and community lands is also provided. The average score is the sum of the indicator scores of a specific collective tenure type for a country divided by the total number of indicators scored (in most cases, this number is 10). This average score provides only a snapshot of the security of indigenous and community land. It does not represent an index, in that the various indicators are not weighted based on their relative importance to secure tenure. Does the law apply to Indigenous Peoples or to non-indigenous communities? Comments Justification and other information on the given score. Laws and provisions reviewed List of the legal frameworks reviewed to produce the score. Review source and date Name and affiliation of the person who evaluated the laws and date of evaluation. Important note: What the national law says and reality on the ground are often very different. The indicators make no attempt to assess enforcement and implementation of the laws. This information will be added in a future phase of the website. The Community level data layers provide sub-national information at the scale of distinct indigenous or community lands. They include maps and data that are publicly available as well as information directly from individuals and organizations with their permission and the permission of the concerned Indigenous Peoples and communities as detailed in a data-sharing agreement. These layers display the boundaries of indigenous and community lands (polygon data) or, when boundaries are not available, point data showing the location of Indigenous Peoples, communities and/or their lands. The geographic information displayed on LandMark is not complete. The Operational Team is involved in a collaborative and on-going effort to collect available maps of the boundaries of indigenous and community lands. The absence of data, however, does not indicate the absence of indigenous or community land (see Data Completeness). If you or your organization can help fill in the gaps in coverage, please contact us. Identity: This category distinguishes between lands held or used by communities that self-identify as Indigenous Peoples and communities that do not. This distinction is made partly because Indigenous Peoples' rights to land and resources are specifically recognized in international law. If the community does not self-identify as Indigenous Peoples or there is not enough information available to make the distinction, then the land is classified as community land. (See Definitions). A clear distinction between indigenous and non-indigenous lands can sometimes be difficult given the available information and because the community may include both Indigenous Peoples and non-Indigenous Peoples. In cases where it is unclear, the lands displayed on the platform default to community lands. Please contact us if you identify indigenous lands that are currently categorized on LandMark as community lands. Documented: The Indigenous Peoples or community have formal documentation of this land from the government (e.g., a title, registration, or other form of official documentation), including situations where: 1) formal documentation recognizing indigenous or community land rights has been extended and registered; 2) the government retains ownership of the land itself but has demarcated and formally set aside areas within which Indigenous Peoples or communities enjoy lawful occupation and use. 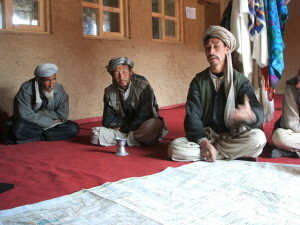 Not documented: The Indigenous Peoples or community are recognized by government but do not hold formal documentation for various reasons, which could include situations where: 1) They are in the process of obtaining formal documentation and the process is not complete; 2) There is a lack of funding, political will or other circumstances such that the documentation process has not been initiated; 3) The national law recognizes indigenous and community land without formal documentation (although some Indigenous Peoples and communities obtain formal documentation to double-lock their land rights; in this case the land is categorized as titled); 4) There is no legal provision for documentation, and registrable title may only be obtained by surrendering the customary right in favour of issue of a statutory title such as leasehold or freehold. 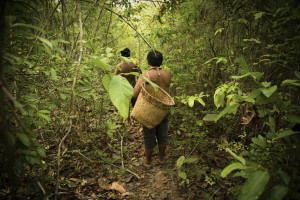 Held or used with formal land claim submitted: The Indigenous Peoples or community has filed a petition or other legal document with the government, including the court, to have their lands formally recognized. Held or used under customary tenure: The national legal framework does not permit or allow for recognition of indigenous/community lands or the Indigenous Peoples or community has not pursued formal recognition from the government. Name What is the name of the selected indigenous or community land? Country In what country is the indigenous/community land located? Identity How does the community self-identify? As Indigenous Peoples or as non-indigenous community? When unclear or unknown, the land is presented as community land. Recognition status Is the indigenous or community land formally acknowledged by government in law or decree? The date field displays the year that the land attained the specified documentation status (if known). Status notes Is there any additional information available to clarify the recognition or documentation status beyond the established typology? Land category What is the categorical name that the local state gives to this type of indigenous or community land? (e.g., reservation, indigenous territory, customary lands). Ethnic groups What are the names of the principal ethnic groups or communities that reside on the indigenous or community land? May include primary, secondary, and tertiary ethnic groups or communities based on population size. Population (Source, Date) How many people normally reside on the indigenous or community land? Includes the source and date of the estimate or census. Land area, official and GIS What is the official area of the indigenous or community land, as stated in the formal documents (only applies to formally recognized lands)? What is the area of the land as calculated in GIS? All areas are in hectares. Acquisition scale What is the scale at which the land data were collected or georeferenced? Acquisition method What was the method used to acquire the indigenous or community land data (e.g., hand-held GPS, transcribed from land title)? Data source (Date) Which individual or organization created the data that are shown on LandMark? May or may not be the same as the contributing institution. Includes date that data were created or last edited. Data contributor Which individual or organization provided the data to LandMark? The Indicative Areas of Indigenous and Community Land Rights layer shows areas where indigenous and community lands likely exist but the clear delimitation, recognition and/or documentation status of these land rights are not available at this time. In other words, there was not enough information available to fit the typology for the Community Level Data typology described above, but there is known presence of Indigenous Peoples and local communities. These maps will transition to the Indigenous Lands or Community Lands layer once more information becomes available. Many individuals and organizations have provided the data and information displayed on LandMark. The following tables provide the sources for the community level and national level data. Democratic Republic of the Congo Forest Atlas of the Democratic Republic of the Congo / l'Atlas Forestier de la République Democratique du Congo (Various sources) Forêts communautaires: Donnée publiées par l'Atlas Forestier de la République Democratique du Congo, téléchargée le 2018/08/20. 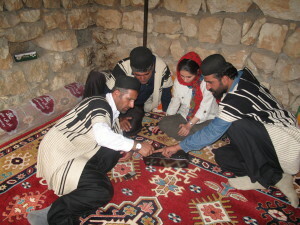 Iran Centre for Sustainable Development (CENESTA) / Union of Indigenous Nomadic Tribes of Iran (UNINOMAD) Centre for Sustainable Development (CENESTA) / Union of Indigenous Nomadic Tribes of Iran (UNINOMAD). 2015. Pilot territories of indigenous nomadic tribes of Iran. Tehran, Iran. Not available for distribution. Namibia Directorate of Survey and Mapping, Ministry of Land Reform Directorate of Survey and Mapping, Ministry of Land Reform, Government of Namibia. 2007. Communal Lands. Windhoek, Namibia. By request. Nicaragua El Gobierno Territorial Indígena Mayangna Sauni As (GTI-MSAs) El Gobierno Territorial Indígena Mayangna Sauni As (GTI-MSAs). 2015. Territorial Indígena (digitized from CONADETI Titulo de Propiedad Comunal by WRI/WAIPT). Comunidad de Musawas Municipio de Bonanza, RAAN, Nicaragua. Not available for distribution. Nicaragua Municipio de la Región Autónoma de la Costa Caribe Norte en Nicaragua Municipio de la Región Autónoma de la Costa Caribe Norte en Nicaragua. 2018. Territorias Indígenas Tituladas. By request. Zimbabwe Government of Zimbabwe Government of Zimbabwe. (undated). Communal land boundaries. Harare, Zimbabwe. By request. The platform itself may be cited as: LandMark. 2017. LandMark: The Global Platform of Indigenous and Community Land. Available at: http://www.landmarkmap.org/. Cite as: F. Dubertret and L. Alden Wily. 2017. Percent of Indigenous and Community Lands. Data file from LandMark: The Global Platform of Indigenous and Community Lands. Available at: www.landmarkmap.org. Cite as: L. Alden Wily, N. Tagliarino, Harvard Law and International Development Society (LIDS), A. Vidal, C. Salcedo-La Vina, S. Ibrahim, and B. Almeida. 2017. Indicators of the Legal Security of Indigenous and Community Lands. Data file from LandMark: The Global Platform of Indigenous and Community Lands. Available at: www.landmarkmap.org. National level data are downloadable as spreadsheets in Excel (xls) format. Data are generated from research (e.g., legal reviews, literature reviews, interviews), expert knowledge, and spatial data analysis. Lists of primary sources and methods are available in the National Level Data and Methods tab, or in the attribute table accessible by clicking on the geographic features in the interactive map. Some Community level data are downloadable through LandMark while other data are accessible via the original source website or contact information. All of the information about download availability is located in the Data Providers tab. The entire LandMark Community level data set is not available for download due to varying data sharing agreements with data providers. Cite as: F. Dubertret and L. Alden Wily. 2015. Percent of Indigenous and Community Lands. Data file from LandMark: The Global Platform of Indigenous and Community Lands. Available at: www.landmarkmap.org. Cite as: L. Alden Wily, N. Tagliarino, Harvard Law and International Development Society (LIDS), A. Vidal, C. Salcedo-La Vina, S. Ibrahim, and B. Almeida. 2016. Indicators of the Legal Security of Indigenous and Community Lands. Data file from LandMark: The Global Platform of Indigenous and Community Lands. Available at: www.landmarkmap.org.